Mood swings are more visible when a person is switching from one emotion to other in just a few seconds without any trigger. They are hard to diagnose and one who suffers might think it is all natural to feel that way. When these mood swings are more frequent than usual it may lead to depression. The main causes of mood swings are hormones and neurotransmitters. Some people with anxiety have low or high levels of only one neurotransmitter. The chief neurotransmitters involved are serotonin, norepinephrine and GABA. Emotions can be very hard to control or stop and the best thing one can do is to try to control the reaction to them. Change in life style, stress, anxiety etc can cause mood swings. Once one heavy emotion is experienced it is most likely to experience other emotions as well. Frequent exposure of these emotions can lead to mood swings. You can control this through a modus operandi that compels you to recognize the way you are feeling and how you are responding. Try to leave any situation that might have caused that particular emotion. Take a deep breath and analyze if the reaction is needed or not, or whether the reaction is justified or not. Pretending an optimistic emotion can be advantageous and can bring you back in track in no time. But all these may not be sufficient to control the fretfulness and it’s the anxiety that alters the hormones and tries to adapt with the stress and gives a feel of excitement. Including Mellocaps in the daily diet gives the optimum amount of vitamins and dairy proteins. They help to calm the mind and balance the mood conveniently. Besides, it contains no opioids, harsh synthetic sedatives, or antihistamines. Mellocaps include ingredients like lemon balm leaf powder, passion flower powder, L-theanine, valerian root powder, whey protein, rice, silicon dioxide, magnesium stearate and gelatin. It is assured devoid of gluten, eggs, wheat, peanuts, fish, dairy, shellfish, soy, corn, and yeast. There is absolutely no additives, artificial colors or flavors and no sugar or sodium. Mellocaps in the daily diet gives the optimum amount of vitamins and dairy proteins. They help to calm the mind and balance the mood conveniently. Besides, it contains no opioids, harsh synthetic sedatives, or antihistamines, Mellocaps are easy to consume. First of all, Nutrition is another vital component in managing mood variation. Do stay away from caffeine, sugar, chocolate, and nicotine. Include low-carbohydrates and protein rich foods. Sleep deprivation can make the body clock go off balance and leads to loss of appetite and energy level alteration. Generally, exercise helps release endorphin’s that boosts mood. Sticking to a strict routine can help you more than anything. Equally, go for workouts, jogging, yoga, walking, or any physical activity that you might enjoy. Get your life organized with planning calendar, budget management, clean closets, and refrigerators or even gardening can help elevate mood levels and can calm your mind to some extent. Above all, Mellocaps are easy to consume. Take 2 capsules per day. Or mix the contents inside the capsule in water or food, making it easy for use even for elderly people. If unsatisfied with the product you can return the product under the terms and conditions. 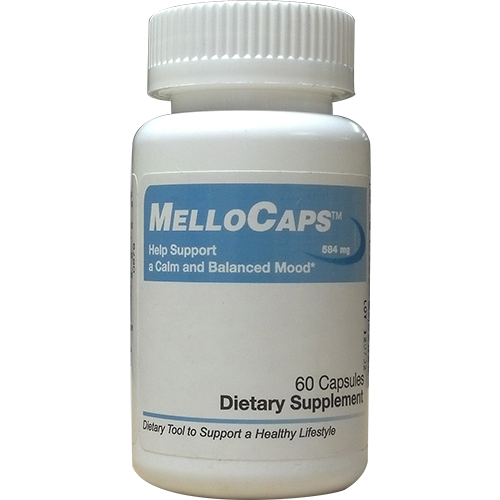 Mellocaps is only a supplement and is not a replacement of any medication or diet. Consult your doctor before taking Mellocaps to avoid any unpleasant outcome.